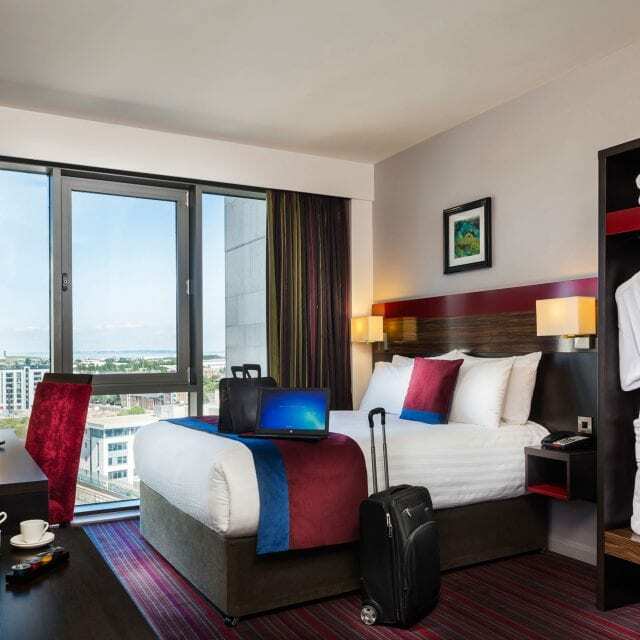 With so much to do in Cardiff city, a comfortable overnight stay is essential. That’s why all of our rooms include luxury mattresses and bedding and an en-suite with bath/shower combination. An LCD Television and tea & coffee facilities are also available. 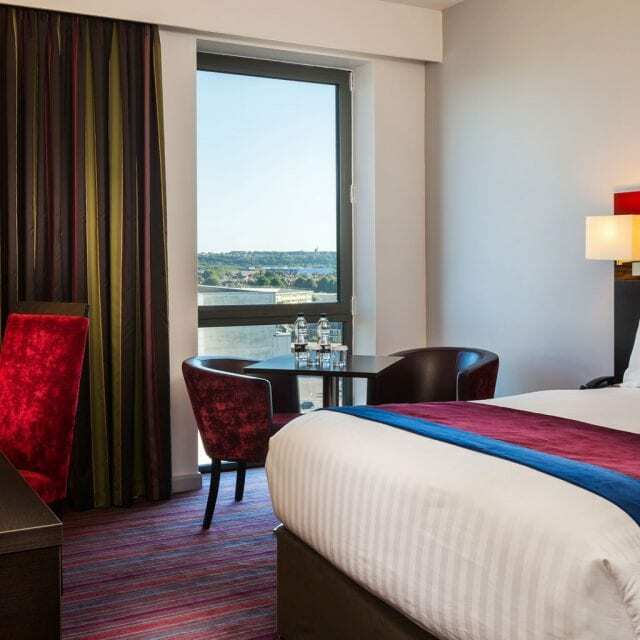 Add a touch of luxury to your stay in Cardiff by upgrading to a superior hotel room. As well as all the additional perks of staying a Clayton hotel, the superior rooms include bathrobe and slippers, an expresso coffee machine to help start the day and a large TV with Sky TV to keep you entertained. Ideal for those in Cardiff City on business. Our Executive Rooms promise a perfect night’s sleep in the comfort of a Kaymed pillow top mattress and deluxe toiletries for you to enjoy. A plush bathrobe, slippers and desk is also provided. 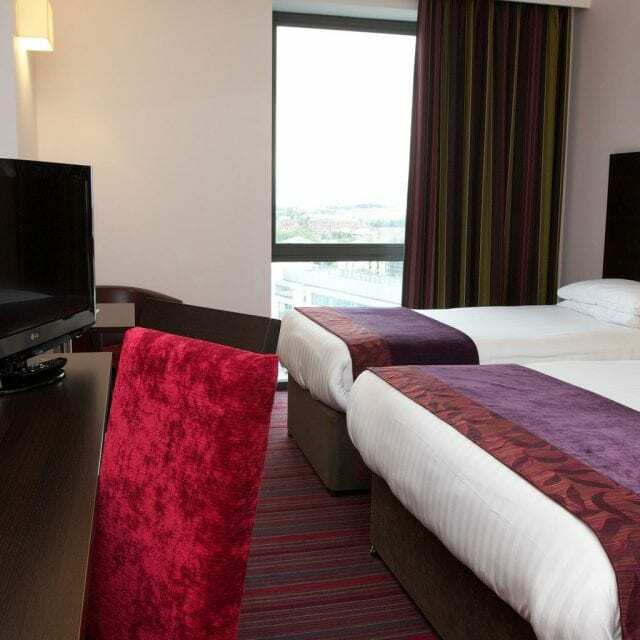 Located on the 10th floor of our hotel these spacious rooms guarantee an impressive view of Cardiff city centre, providing you with Clayton Hotel Cardiff’s ultimate relaxation experience. 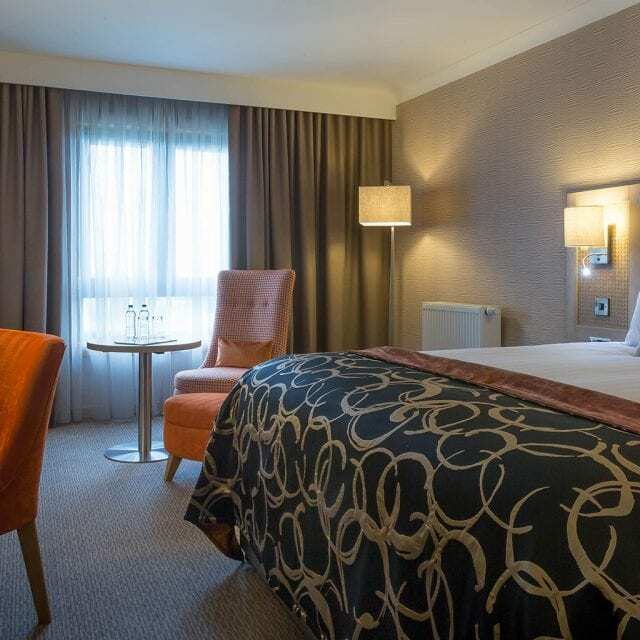 At Clayton hotels we pride ourselves on catering to all our customer’s needs, that’s why our spacious Family rooms include a double and single bed formation, with extra beds or cot available if required. 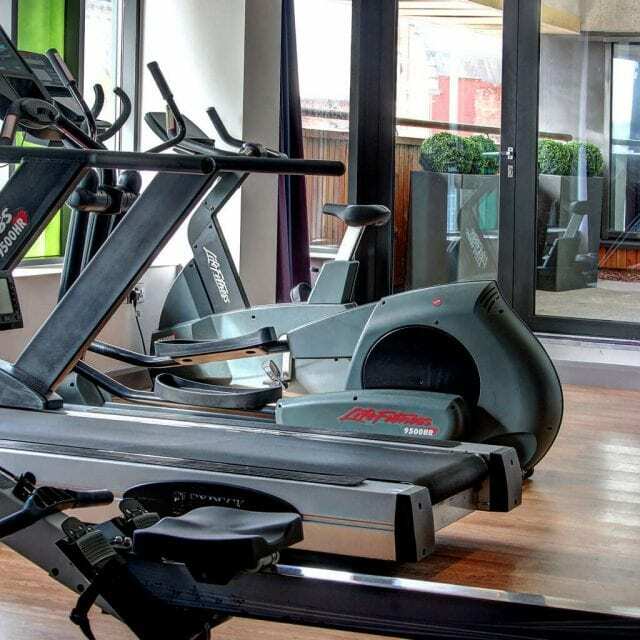 Keep the kids entertained with complimentary WIFI and a flat screen TV, while you unwind in the gym or enjoy a nice cup of tea/coffee with a charming view of Cardiff city centre. To ensure comfort and convenience for all or guests we have accessible rooms on all floors, which are located near the hotel lifts. The power assisted doors and spacious wet rooms provide ease and reassurance and are accompanied with 24-hour service to assist your stay. Ambulant disabled rooms are also available in the hotel, with a lowered bath, grab rails and assistance call cord that contact reception if assistance is required. Start your day with a work out watching the sunrise over the city, or have a de-stressing yoga or cardio session before bed at our 24-hour fitness suite. We also have a quality music system and TV in the fitness suite to ensure an enjoyable workout. From weight training to cardio, the fully equipped and state of the art fitness suite will suit your every need. Also, just ask at reception and we will be happy to provide a complimentary towel and bottle of water for your workout.